Kevin Jesmer NIU UBF has been a member since July 10th 2011, and has created 2245 posts from scratch. I am a originally from Canada. I am a pastor of a house church ministry praying for the people of DeKalb, IL and the students of NIU. I also work as nurse. My wife Julie and myself are raising five wonderful children, who are serving the Lord together. Dear Lord, thank you for teaching us what is most important in life. Knowing you and following you and knowing your grace is vitally important. Without this vine and branch relationship our soul withers. Thank you for the life that you give. Plant your words in my heart. I pray in Jesus’ name. Amen. God’s prophecies about Persia and Greece were so accurate that it seemed as if it were written after the incidents. As God foretold, the fourth king of Persia was mighty and tried to invade Greece. But a mighty king, Alexander the Great of Greece defeated Persia. He tried to do as he pleased, but he died at the peak of his power. None of his descendants became king. Instead his four generals divided his empire. God is in control over kingdoms and kings as the sovereign Lord. His will prevails, and not the great kings. We need to trust in the sovereignty of God. God’s plan is unfolding. We may not like it. We may not agree about it, especially when we see human suffering. But if we step back and see things over the millennia, we can see God’s plan unfolding. There is a plan for all of this craziness we see in the news. There is a plan afoot though the good and the bad. How depressing we get if we fail to trust in the Lord. Nothing makes sense if we disregard the sovereignty of God. Trusting in the sovereign Lord, keeps me sane and gives me peace. Young people don’t trust in the Lord. To them all the bad news is causing depression and anxiety. Oh, how they need to know Christ and to trust in the Lord. People who fail to see the sovereign hand of God at work are actually short sighted. They consider event that occur over a year or five years. But God is eternal. His plan is unfolding over thousands of years. Things are happening just a God planned. A brief look at the Book of Revelation confirms this. We, as God’s people, must see things from God’s point of view. Verses 5-27, “5 “Then the king of the south shall be strong, but one of his princes shall be stronger than he and shall rule, and his authority shall be a great authority. 6 After some years they shall make an alliance, and the daughter of the king of the south shall come to the king of the north to make an agreement. But she shall not retain the strength of her arm, and he and his arm shall not endure, but she shall be given up, and her attendants, he who fathered her, and he who supported[a] her in those times. 14 “In those times many shall rise against the king of the south, and the violent among your own people shall lift themselves up in order to fulfill the vision, but they shall fail. 15 Then the king of the north shall come and throw up siege works and take a well-fortified city. And the forces of the south shall not stand, or even his best troops, for there shall be no strength to stand. 16 But he who comes against him shall do as he wills, and none shall stand before him. And he shall stand in the glorious land, with destruction in his hand. 17 He shall set his face to come with the strength of his whole kingdom, and he shall bring terms of an agreement and perform them. He shall give him the daughter of women to destroy the kingdom, but it shall not stand or be to his advantage. 18 Afterward he shall turn his face to the coastlands and shall capture many of them, but a commander shall put an end to his insolence. Indeed, he shall turn his insolence back upon him. 19 Then he shall turn his face back toward the fortresses of his own land, but he shall stumble and fall, and shall not be found. Here the detailed prophecies about the two powerful kings of the South and of the North, Egypt and Syria reveal the characters of the earthly kingdoms of the past and the present: The two kings, with their hearts bent on evil, sit at the same table. They lie to each other, deceive, betray, attack and retaliate to achieve their selfish desires, but to no avail, because an end will still come at God’s appointed time. But to no avail, because an end will still come at God’s appointed time. This is a powerful statement. There is so much colluding between worldly governments. Some of it their plans are outright evil and will cause the suffering of so many people. But it is comforting to know that Jesus is in control. All of it is working towards the end, when Jesus will come again to gather up his people to himself. Trust in God, the Sovereign Lord! Link to the “communities” section. 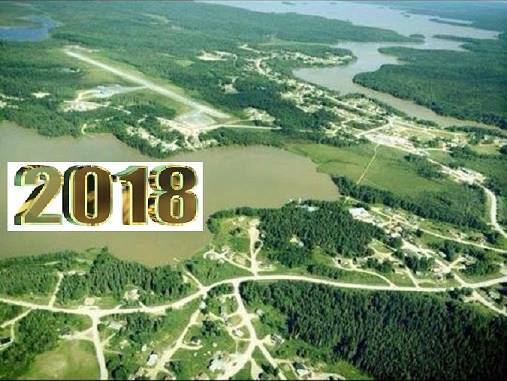 Sandy Lake visit 2018 10 min Mostly a winter fly around. 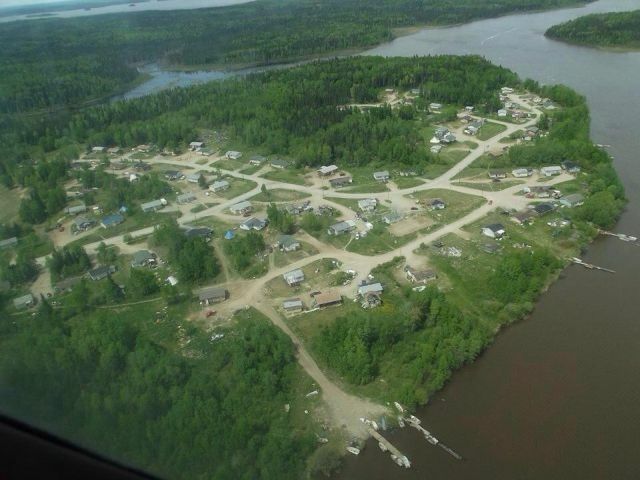 The people of Sandy Lake were hunters and gathers and this tradition of living off the land continues. Wild game is still a staple in the diets of many people. Moose, rabbit, root from the marsh-make into tea/grind into powder/ edible paste. 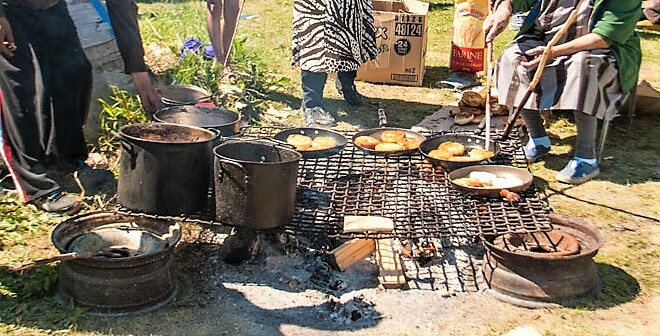 Some of the food that are considered delicacies include moose nose, beaver tail, bannock made with fish eggs, rabbit soup (with rabbit lungs added after preparation), rabbit brain and fish heads. In the past, every part of wild game, big or small, was used – nothing was wasted.Diabetes has ravaged the community in epidemic proportions in the last 35-40 years. Like so many other cultures the process of rapid cultural change has seen a rise in many chronic diseases. The traditional hunter gather lifestyle was an incredibly demanding one requiring superb levels of physical fitness. The traditional diet was very high in protein, very low in fat and carbohydrates. Now, many modern conveniences are available and these have discouraged many of the traditional physical activities that the people were used to in their everyday lives. If a toddler looks behind his/herself between his/her legs, that toddler is looking for their younger sibling meaning a baby is on the way! If a female child uses a slingshot, her bosom will stretch and droop. 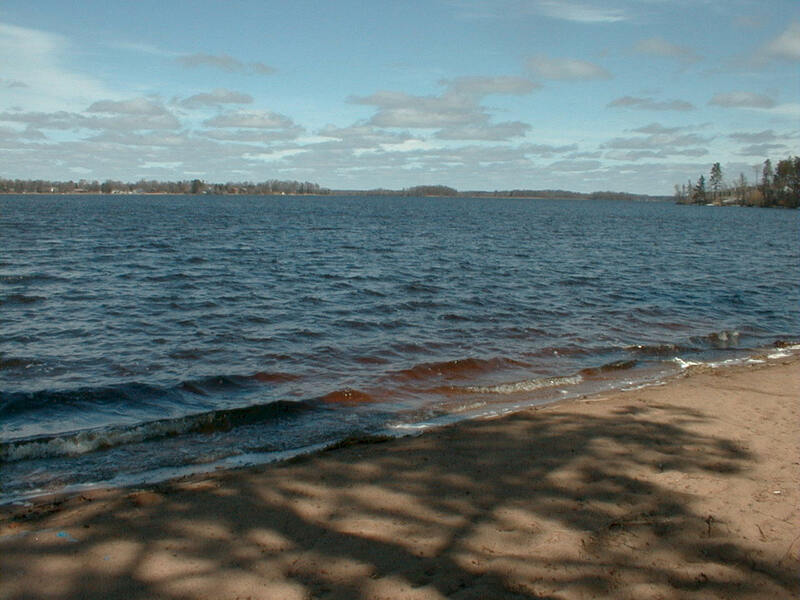 While on a boat on Finger Lake, you cannot point your finger to the rock outcrop, otherwise you will get caught on the lake on your way back home while the wind picks up drastically and big waves (white caps) form. Hence the reason many native people prefer to point with their lips! A child crying in the night will attract a geengongay (wolverine) which will take that child away. If you kill a spider, it will start raining. If you kill a frog, it will rain and you will get a chee-chee-gum. If you hear a crow or raven at night, it is a bad omen. If you hear a dog crying, it has to be put down, otherwise someone will die. If you have a bad dream about someone, you must tell someone about it, otherwise it will come true. If your eye twitches: upper – good sign, lower – bad omen. If a Whiskeyjack (bird) makes an odd sound (weeyass), it means you will kill a moose. If a bird crashes into your window, it’s a bad sign (more so for the bird). If there is a ring around the sun/moon: overcast and rain or snow is coming. If you cut up a moose and the hind leg socket pops, that means another moose soon. If you see a bear with three cubs, that’s a bad sign. If you dream of killing a moose, it’s a good sign. If a fish sticks it’s head out of the water, it’s a bad sign. Where there’s lightning, cover your mirrors, otherwise lightning could strike them. If you stare at the moon for too long, it will pull you to it. As a child, if you wear a pot or bowl as a hat, it will stunt your growth. If a female goes on a swing, she will start menstruating. The deeper the groove at the back of your neck, the stingier you are. If your fingernails are white at the base (gih-min-da-weh), it means that you don’t like it that you don’t get enough of whatever it is you are given. If a bird flies into your house, it is a bad omen. Northern Lights (Aurora Borealis) indicate strong winds the next day. At a family dinner, no one eats until after grace is said then afterwards, if someone passes gas, that person must leave for the rest of the dinner. If you look into your wallet and it is empty, it’s a bad sign (alright this one belongs in the Joke-Sah-Weh section). The following are brief descriptions of some of out traditional games that were played by young and old alike. Jooshiman was a piece of wood carved into a type of bat or torpedo shape. It was thrown underhand into the snow, made to glide quite a distance. The person who throws the jooshiman the furthest would claim victory. In English terms, it is called “snow snake” although it is not a direct translation. While dogsledding was a form of transportation it was viewed as a form of fun when travelling by great distances to visit neighbouring camps. One of the traditional games has some similarities to modern day baseball. Two sticks were staked in the ground about 30 feet apart. A ball was thrown to the batter standing at one of the stakes, who would hit the ball then run, with the bat in hand, to try and hit the other stake in the ground while trying to avoid being hit with the ball. Other players would try to catch the ball and hit the running player with the ball before the player can hit the stake in the ground. Another game was “Jaa-wee”. The objective of this game was to get to the closest to the target. One utilized plain sticks. Players would alternately throw a stick towards a target, usually a similar type stick, perhaps one stripped of its bark to identify it. The player who threw it closest would win. A variation of this game used bows and arrows. 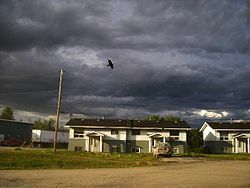 Treaty Days is an annual event to mark the communities signing of the Treaty. On this day the Chief receives $25.00, Councillors $15.00 and all registered band members receive $5.00. Traditionally activities and events were held when representatives of the Department of Indian Affairs came to the community and disburse treaty money. 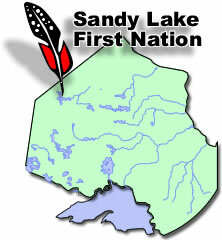 June 9, 2010 will be the Centennial of Sandy Lake Band’s signing. The Baby’s Feast is conducted shortly after the child is born to celebrate the arrival of this child to this world. The ceremony begins with opening remarks about why there is a gathering from a host elder that has been selected by the parents. Other elders may join in with their comments on the occasion. When this is done, the host elder will pick up the child and talk to him/her about the world s/he has entered, the difficulties s/he must face and the joys of life. When the host elder has finished talking to the child about everything s/he must know to live her/his life in this world, the feasting then begins to celebrate this occasion. When a person dies the entire community mourns that person’s passing. On the first anniversairy of the death, a feast is prepared by the family to commemorate the person. All community members are invited to sit at the table prepared to mark this occasion. This helps the people remember the person who is mourned and provide some closure to the loss of the loved one. On New Year’s Night, a similar banquet is prepared on the floor in the middle of the largest room to bid our loved ones who have visited us for one week farewell for another year. One of the new traditions as a result of the tradition of Christmas, every year, starting at about the 18th to the 21st of December, the community starts an array of feasts at a rate of about 2 – 3 per day or more. Almost every household takes part by having a feast during the two weeks of the festive season. The feasting stops shortly after the New Year. This feasting complements the spirit of Christmas in Sandy Lake. This ceremony involved only women who took a piece of wood out to the bushes to offer it to the Creator, and brought something back as well. This ceremony represented the woman’s vital place in the household as a homemaker whom asked for the Creator’s blessing so that the home would be safe and warm. This ceremony was performed by a shaman or spiritual person, whom erected a tent with dimensions approximately 3’L x 3’W x 6’H. The shaman would enter the tent to conjure spirits and speak beyond this world. 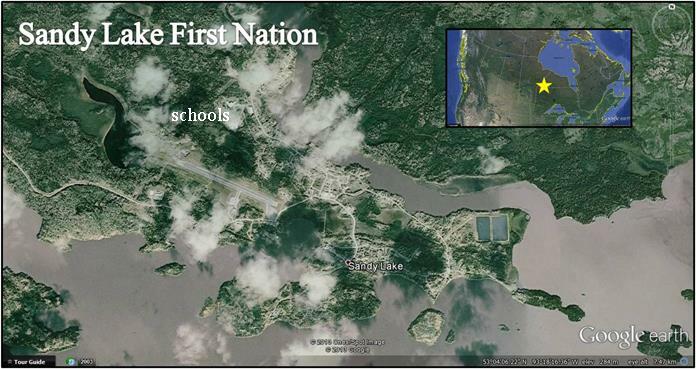 Thomas Fiddler was the last traditional hereditary chief and a patriarch to the people of Sandy Lake. 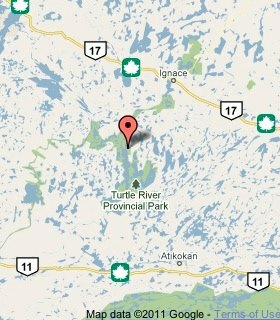 Chief Thomas Fiddler was born on the south shore of Big Sandy Lake, Ontario, in the year 1904, the fifth son of Robert Fiddler. Thomas Fiddler became Chief on October 15th, 1939, assuming responsibilities of Chief after his father’s death, elected in 1940 until 1968. He carried a strong wisdom throughout his term as Chief travelling to distant towns and cities advocating for his people and the lifestyle of the north. He was bestowed with numerous awards and citations for his advocacy and participation in the development of governing structures in Northern Ontario. Chief Thomas Fiddler died February 5, 1987. James Linklater also known as The Marten or Wabizhesh, was a great shaman and conjurer of spirits. 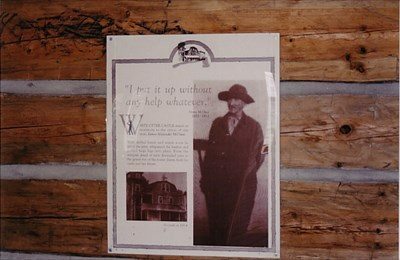 He was known to use the “Shaking Tent” to make a connection to the spirit world to heal people from illness, speak to spirits, ask for guidance and assist in the various problems of the people. Locally, he was a well-respected man with abilities to cure. 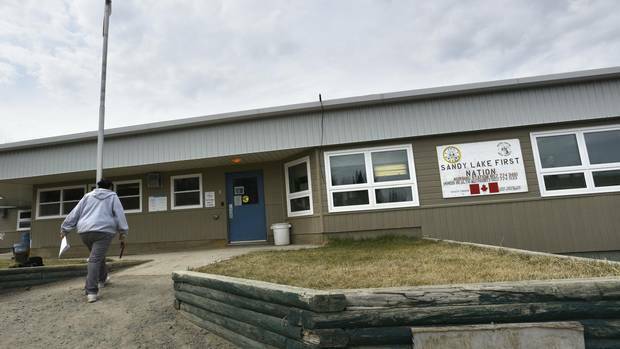 Sandy Lake is renowned for supplying great native artists significant in the development of a genre of aboriginal art known as Woodland Cree. Carl Rae, born January 18, 1943 – September 26, 1978, was a prominent native artist who travelled to large urban areas to display his art. His artwork was appreciated and renowned by the international art community. There were many native artists from the Sandy Lake area to enter into this genre, to name a few there was “late” Joshim Kakegamic,”late” Norval Morriseau, Goyce Kakegamic, Robert Kakegamic, Bart Meekis, Gordon Fiddler, Lloyd Kakepetum, Roy Kakegamic, Roger Kakepetum, and many others. 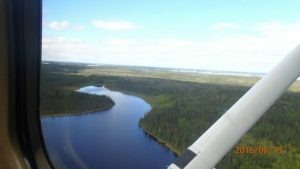 The area known as Sandy Lake and the vast expanse of lakes and forests to the east, south, west, and north is the traditional territory of the Anishinabeck, the Oji-Cree. 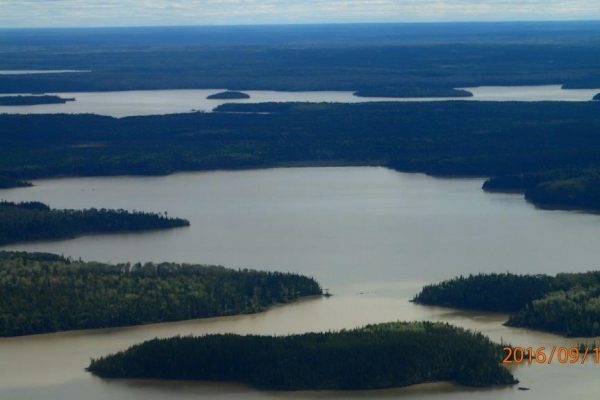 As late as 1897, Big Sandy Lake was considered “as inaccessible as the North Pole”. It was an area distant from the main trade routes. 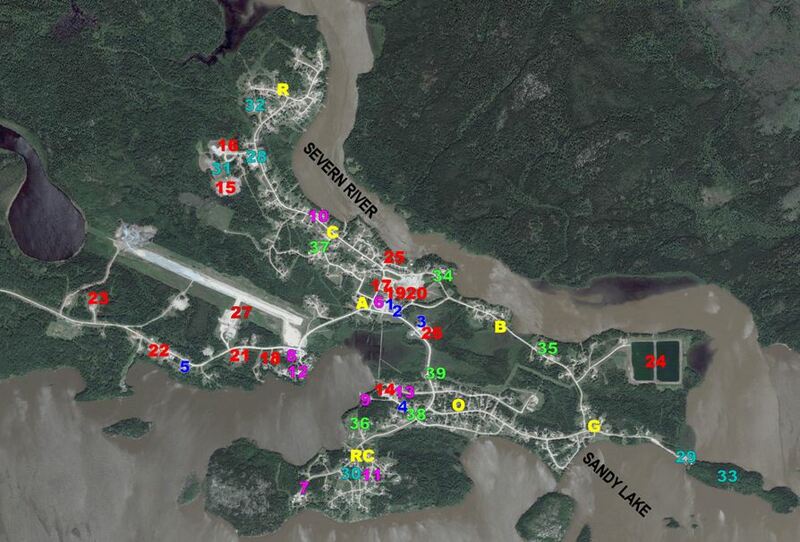 The closest Hudson Bay posts were located at Island Lake to the west and at Big Trout Lake to the east. 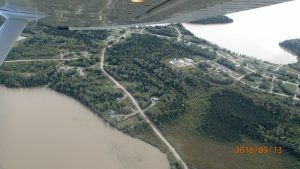 Yet, as “inaccessible” as this area was, the ancestors of the Sandy Lake people travelled the lakes, rivers, and portage systems along the Severn River from Lake Winnipeg, Berens River, and Island Manitoba to Fort Severn, Ontario. The earliest person recorded is Porcupine Standing Sideways. This was before 1823. His ancestors or other people of that generation are not recorded in the fur trade journals. The other person recorded was a hunter by the name of Shell (see Killing The Shaman, a book by Thomas Fiddler and Jim Stevens). The people at the time of Porcupine lived in small family groups and engaged in traditional pursuits of hunting, trapping, fishing, and gathering. Traditionally, theirs was a nomadic lifestyle following the movements of the animals and the seasons. The elders speak of good times and bad times. The environment can be a blessing or a challenge. There were times when the animals and berries were plenty providing sustenance for all. Other times, there was famine sometimes resulting in starvation for some. The people were a spiritual people with a strong belief in the Creator. They believed that the land was a gift from the Creator given to them for their survival. They were the keepers of the land and they believed they were put on this land for that purpose. The culture and traditions, a way of life, and nature’s laws was based on this sacred relationship with the land. And they governed themselves accordingly on how life should be conducted. Porcupine Standing Sideways, the leader of the Sucker clan, had three daughters and three sons. The sons were Jack Fiddler, Peter Flett, and Joseph Fiddler. It is at this time the picture of who’s who becomes a little clearer when the ancestors of the other clans emerged through stories of the elders. 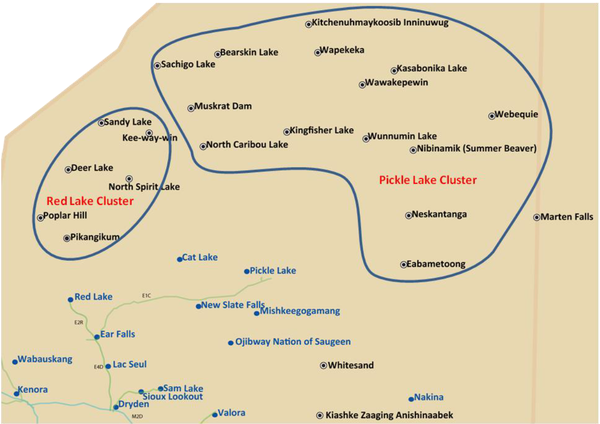 There were the five clans of the Sandy Lake area, Sucker (Fiddler, Goodman, and Harper), Pelican (Meekis), Crane (Kakegamic and Kakepetum), Sturgeon (Mamakeesic), and Caribou (Linklater and Rae). There are stories of when life was good, hardships, the beautiful and harsh environment, contact with the outside world, and other pieces of history and origins of where we come from. These can be found in the book Killing the Shaman. Porcupine died when he was 120 years old. In the last decades of the 1800’s, the leading man of the Sucker clan was his son Jack Fiddler, or ‘South Wind’. Jack Fiddler was a great medicine man, conjurer and healer of the people. It is known he visited the May-May-quay-shi-wok in the rock cliffs. 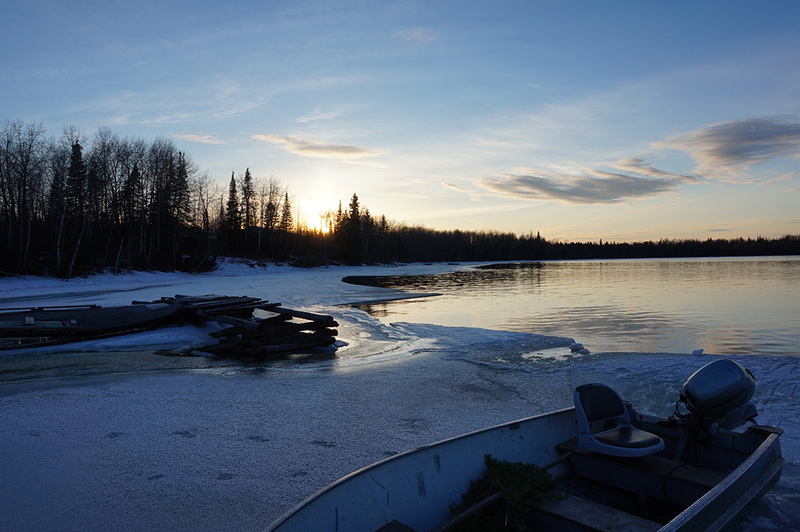 He cured the whitefish in South Trout of worms and once he brought back the sturgeon to Cobham Falls. The leading man of the Cranes was Papmekeesikquap at this time. The lives of Porcupine’s three sons ended in tragedy. 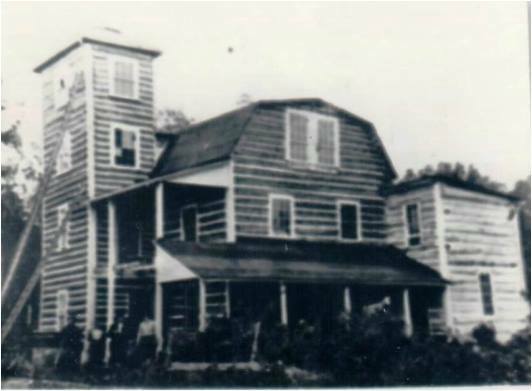 When Jack Fiddler died in 1907 his son Robert Fiddler became leader of the Sucker clan. Dear Lord Heavenly Father, thank you for being our Rock and our compass and our guiding light. Without you and your word we will definitely drift into the darkness. You keep us grounded and moving in the right direction. You keep me faithful and steadfast. Thank you, Jesus. Please grant me your word today. I pray in Jesus’ name. Amen. The Risen Jesus appeared to his disciples on a mountain in Galilee. The disciples understood that he was the one that must be worshiped, though even in this group there were doubters. On earth, Jesus had humbly submitted himself to God’s will to die for the sin of the world. Now God had raised him from the dead and put everything in his hands-all authority in heaven and on earth. After Jesus rose again, the Holy Spirit was given to all believers. The Father has revealed that Jesus is the one we must worship. I am thankful, that by the grace of God, I can know the one who is to be the recipient of our worship. Human beings are worshipping beings. We want to worship something. We want to give our hearts and adoration to something. This is true for the one who believes in God and the one who does not. We really need to find the object of our worship. We cannot go through life with misplaced worship. That is never a healthy thing to do. What you worship is what you live for. What you worship captures your thoughts and emotions and desires. It is not a small matter. Jesus came in to this world to show us that we must worship God alone. Jesus is God. We must make Jesus the object of our devotion. What does it mean that, “All authority in heaven and on earth has been given to me.” The Father has put all things in Jesus’ hands. Jesus has all authority in heaven and earth. There is no power that can oppose him. Satan and evil spirits cannot stand in his way. Jesus is the Sovereign Lord. We can trust that the Risen Christ is in control. Jesus’ disciples were called to preach the Gospel to the ends of the earth. They were blue collar workers. They were largely undereducated country folk. How could they go into all the Roman world and preach the Gospel? By whose authority? Who would listen? How could they stand spread the light to a dark world? Carrying out this command is possible because Jesus’ own authority works through us. It is because the one who called them has all the authority and his followers go forth in that authority. 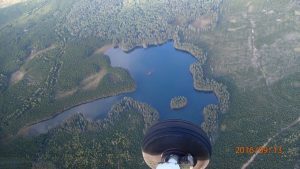 How can missionaries go to remote communities to preach the Gospel? They obey Jesus’ command and trust in him and go forth in his authority. God is with them. Jesus gave a final command to his disciples, which they should carry out until he returns. It is to make disciples by baptizing believers and teaching them to obey all of Jesus’ teachings. Jesus really defines what we should be doing as his followers, it is to make disciples. How easy it is to lose the point of the relationships God has placed us into. It is to make disciples of Jesus. I don’t want to say that all relationships in our lives are to make disciples. We are not just relating to people with an agenda. There can be simple friendships with no agenda. We are not just using people to serve our purpose even if is a spiritual purpose. The problem is when our social lives are filled with secular friendships and there are no movements made towards making disciples of Jesus. We need to have some progression on our relationships and pray to that end. We can even pray for God to send one person into our lives whom we can be grow as disciples with. But there will be people in our lives whom God has called to be his followers. God wants us to mentor them and walk alongside them as they grow as Jesus’ followers. We need to keep our eyes open to see the ones that Jesus is leading into our lives and be ready to mentor them in the ways of Christ. To teach others to obey, we first have to put Jesus’ teachings into practice ourselves. This is so true. We can not be good Christian leaders until we become close followers of Jesus ourselves. Our lives must be an example to others. Through our example God wants to help people know the truth and follow the truth. Think about how kids learn to be adults. They model their parents and their close friends. I pray that God may work in my life so that others may be inspired to know and follow Jesus. We don’t need to be afraid to be mentors for those who are being called to be Jesus’ disciples. Jesus promised that his presence will be with us and he will never leave us to the very end. When Jesus is with us then there is no reason to be afraid. He will guide us. He will empower us. He will open the hearts of those whom he leads us to. Prayer: Father, thank you that you are with us always. I pray that I may be a good disciple of Christ and help others also obey your teaching. Dear Lord heavenly Father. Thank you for bringing us into a new year. I pray that 2019 may be a year in which your name, (JESUS) and the Gospel are glorified throughout the world. Help us to know you and grow in our knowledge of you. Raise up missionaries to take your word to the ends of the earth. Grant me insight into your word today. I pray in Jesus’ name. Amen! Here the prophet Isaiah describes how God chose him before he was born and equipped him to speak God’s words. I can see that God chose, called and equipped Isaiah to be his servant to the people. He was to speak the word of God. He was to serve God’s purpose as an arrow is to serve the purpose of the archer. An arrow flies true, straight to the target. Isaiah was to be a sharpened arrow, an arrow that will accomplish the task for which it is sent, either to sink into a target or into prey. The whole purpose of Isaiah’s calling is to be God’s servant. He wanted to glorify himself through Isaiah’s life and ministry. God is the one who made Isaiah into his servant. “The Lord called me”, “He made my mouth like a sharp sword”, “He hid me”, “He made me”, “In whom I will be glorified.” God is the one who calls and equips. In Christ, God also chooses and trains us to make us an arrow in his quiver. God desires to display his splendor in each of his servants. Being a servant of the word of God is a calling in life. When God calls; he equips. We don’t think that we can measure up. We think that we can never stand as a servant of God. But the one who calls is the one who equips. We can do certain things, like engaging in regular Bible study and spiritual disciplines, such as prayer and living a life of mission. But these are limited in making us a servant of God like a sharpened arrow. We need God’s call on a preaching and teaching ministry and after receiving the call, we must trust that God will accomplish what he set out to accomplish. We may feel underqualified. That is good, because on our own we are. Isaiah must have felt underqualified at times. This realization that we are underqualified keeps us humble and dependent on God. We are in a good place. It is God who qualifies us. There were times when Isaiah was despaired about life and ministry. Look at verse 4 again, “But I said, “I have labored in vain; I have spent my strength for nothing and vanity; yet surely my right is with the Lord, and my recompense with my God.” He devoted his life to serving God’s purpose. But the response was not good. The nation did not submit to the Lord. But Isaiah should never despair. The God who calls is not only the one who equips, he is the God who accomplishes his purposes. This is reflected in making Isaiah into a sharpened arrow. God was going to use Isaiah and his ministry in Isaiah’s lifetime, but also 800 years later he would send Jesus according to the prophecies spoken through Isaiah. We, ourselves in 2019 AD, are being blessed by God’s word through Isaiah. God will accomplish what he has determined. Sometimes we may feel like all our sacrifices and labor in the Lord has come to nothing. But our reward is safe with God. I need to trust God in this way. It is not about me. It is about God and his ability to accomplish. I am glad it is not about me, because if it was, things would fall apart. But when left in the hands of God, his kingdom will grow. Currently, as at the end of most years, I feel like I am in a dry time. Maybe it is winter months. I don’t know how ministry will progress in 2019. But I can trust God. There are times of waxing and waning in ministry, but in Christ all things are moving forward for his glory and to serve his purpose. Isaiah knew that God had called him to bring Israel back to the Lord. But God had even bigger plans than that. Look at verse 6 again, “6 he says: “It is too light a thing that you should be my servant to raise up the tribes of Jacob and to bring back the preserved of Israel; I will make you as a light for the nations, that my salvation may reach to the end of the earth.” The calling of Isaiah was to make his people a light to the Gentiles, so salvation would come not just to Israel but to the ends of the earth. This is ultimately accomplished through Jesus, who was despised and afflicted, but now there are kings of the earth who bow down to him. When he comes again all of them will. The Holy Spirit gave Paul this key verse to describe his missionary work. And who was Paul before meeting Jesus? He was a legalistic religious zealot who persecuted and even murdered Christians! And yet God used him to spread the Gospel and reveal the light of the world, Jesus to the Roman world and even to us today through his letters. Because of God’s heart for world salvation, he calls and uses ordinary people like us for his great purpose. The purpose is very similar. God wants Jesus and his precious Gospel to be a light to the Gentiles and he calls ordinary people to share in his vision. He calls Christians to speak the words of God and to pray that his Gospel light may shine forth. I pray for the missionaries in Canada that God may speak through their words and their lives to shine the Gospel light across the remote north. I pray that in 2019, in some small way, my life and family may be a light to the Gentiles. This can only be accomplished by the grace of Jesus. Prayer: Lord, thank you for using me in greater ways than I realize. Help me serve you this year with confidence in you and not in myself. One word: God has called us to shine the Gospel light to the nations. Dear Lord Jesus, thank you for a wonderful 2018. You accomplished so much. Your glory shines forth from near us to around the globe. I pray that in 2019 we may see more of you and your glory. Free us from the things that tether our hearts and souls and help us to follow you more closely in the coming year. Grant me your word in my heart today. Grant me vision for 2019. I pray in Jesus’ name. Amen! In Isaiah’s time, childlessness brought shame. It symbolized hopelessness. That is how the people felt during the Babylonian captivity. But God encouraged the hopeless and brokenhearted to sing and shout for joy. God promised his people that they will spread out. One day their shame and disgrace will be forgotten. God urged his people to prepare for this glorious future by enlarging their tent and strengthening their stakes. They had to surrender their fear and despair to God, grow their faith and anchor their hearts in God to accomplish this. There is so much hope in God. The hope in God is a real hope, for it a hope planted and nurtured by the all-powerful Creator. It is a hope that he accomplishes through us in our lives and ministries. Without Jesus I would be hopeless. But with Jesus I have a real hope. Before meeting Jesus, I lived without hope. As a young man at twenty years old, I had a small hope that I could complete college and get a career job. Then I would marry and have a family. I never, ever thought about life beyond family life and definitely not about eternal life. Due to the power of sin, even getting a satisfying career job was becoming a pipe dream, let alone being able to maintain a family. It was when I accepted Jesus, that Christ filled my heart with hope. It was real hope because it was hope with God’s power behind it. God gave me a new heart and mind and life, a new career, a family, a ministry. He is growing my children into Christians. The hope never ends. He is leading me all the way to eternal life in the Kingdom of Heaven. There are times when I become disappointed in God’s hope for my life while I live in this world. It is all because I am trying to hold onto my own hopes for a certain kind of ministry for example. Or I am wanting God’s plans to unfold in my way and in my time. In either case the problem is not with God and God’s hope. The problem lies with me. And I thank the Lord for being patient with me and helping me to accept his hope as my hope and his timetable as my timetable. What do we do when Christians are filled with God’s hope? Look at verse 2, “Enlarge the place of your tent, and let the curtains of your habitations be stretched out; do not hold back; lengthen your cords and strengthen your stakes.” (ESV) We need to live, reflecting the hope of God, which is really the fact that God’s Kingdom will grow and expand and God’s people will bear fruit by his grace. We need to expand the place of our tents. The whole point is joining in God’s work in expanding his kingdom. This could take on many forms. It could be related to ministry. It could be in education and training. It could be building a family and a church. In 2019 I want to expand the place of my tent in regards to ministry. I would like to start the monthly Canada educational prayer meeting. I would like to work to build up KBC (my church). I want to mentor the several people that God has brought into my life. I want to encourage my family to be followers of Jesus. It could mean enlarge the scope of one’s compassion and heart and vision. It could mean enlarge the length and breadth of our prayer. In anger, God briefly abandoned his people and allowed them to suffer. But his underlying purpose was always redemptive. God is the LORD Almighty, the God of all the earth, who can and will redeem his people. God is like a husband to his people. He loves them. He has committed himself to them and has deep compassion for them. Our God shows everlasting kindness to his people. I can say that God never abandons me. He has shown kindness to me. There have been times of spiritual dryness. There have been times of depression and distress. But these proved to be times or spiritual discipline. They were times of sanctification. In 2012 God used emotional distress to stop me from doing one thing (the house church) so that he could lead me into another ministry, (KBC and the mission to the North). There were hardships, but they were for a brief moment and it was all because of his love and his grace on my life. There was definitely a purpose. Prayer: Lord, thank you for being kind and compassionate and giving us a glorious hope in Christ. Enlarge my heart and strengthen my faith in you. One word: We have a real hope, therefore expand the place of our tents. Dear Lord heavenly Father, thank you for your being there for us and guiding our hearts to yourself. I really need to have daily nourishment from your word. May 2019 be a year of drawing strength from you, through your Spirit and your word. Help me to share your life-giving words to those who are groping n the darkness. May you strengthen the missionaries who are up north. May the be strong and contented by the word of God. I pray in Jesus’ name. Amen. The crystal-clear water of the River of Life will flow through the middle of the New Jerusalem. Its headwater will be the Lord Himself, and His Son Jesus. They are the givers of life. All life flows from them. The tree of life will stand on both sides of the River of Life. There will be an abundance of fruit, so that all can eat it and have life from the Father and the Son. The leaves of the tree will be healing to all the nations. The throne of God and His Son will be in the city, and we will all serve Him. Night will never again bring darkness, for the Lord God will shine as bright as the noonday sun forever and ever. This is so pure and holy and pristine. It is absolutely lovely. The water is clean and fresh. They trees are abundant and fruitful. There is healing for the nations. And in the midst of this beautiful place is God on his throne. I really long for the kingdom of God and to dwell there. My eyes witness so much suffering and even death. I see people struggling to live in this world forever and grieving and saddened when their days are drawing to a close. They can’t believe that the end is near. But the inevitable will happen. Their jars of clay, (their bodies), will disintegrate to dust and they will have to stand before the judgement seat of Christ. Most will have no hope in the Kingdom of God. But I thank God for the Gospel. Through faith in Christ, I am set free from my sins. I am forgiven. I have a living hope in the Kingdom of God. I am not just tolerated by God, but I have become his son by his grace and totally and completely welcome in the Kingdom of God. The hope in the Kingdom of God grows more and more each day. I really long to be there and I am fine with the time that Jesus wants to take me home. The refreshing that come from the throne of God, begins even now. Nothing in this world compares to the goodness of God’s word and gazing at the Lord. In this world I have everything that anyone could ever want, but I still would lack if I could not worship Christ. That is why I decided I needed to get back into writing daily bread. How refreshing God is! Why does the Bible make a point of saying, the throne of God and the Lamb? This could bring to mind that our God is a triune God. There is the Father, Son and the Holy Spirit. Our God is One and the three members of the Trinity are one. It also differentiates who God is. He is not the God of other religions. He is not the God that we make up for ourselves. He is the Triune God. He is Father-Son and Holy Spirit. He is the Christian God. He is also the God of all those who have faith in Christ. It also shows how we can stand before God’s throne and have a living hope in this restored Eden. It is only through the Lamb. Through the shed blood of the Lamb of God, Jesus, we are made eligible to enter into God’s kingdom and stand before God and worship him along with all who put their faith in him. One day, we will all be with Jesus again. He will come again and dwell with his Father and our Father in paradise. Those who keep the words of God will be blessed to be counted as children of the Lord God. This does not mean that it is our obedience to God’s laws that gets us into heaven. We keep our faith in Jesus. We obey God out of love for God as an act of worship and a desire to mature. We always fall short because of sin and our fallen condition. But we are covered by the blood of Jesus. We enter into heaven because of the shed blood of Christ. Even though we don’t completely obey the word of God without fail, God counts it as we do. We are declared righteous and when that happens, we are granted eternal life, and are brought into the presence of God. We can worship and serve him freely as his precious children. What a precious gift this is! John was overwhelmed with wonder at his vision. He wanted to worship the angel, but he was warned to worship God only. There are people that are into angel worship. They worship angels more than they worship Jesus himself. They are not to do this. All of praise and worship must be directed to Christ. What do we do now that we have received this grace and this living hope? We serve God. We thank God. We worship him. We are fellow servants with other Christians, the prophets, and even angels…yes even angels if verse 9 is true. We are fellow servants with those who keep the word of God. God will be coming soon. No one knows that date, but it is soon. It is as close as the time that our own eyes close in death. There will be a time when believers who have not died will see his coming. The signs of the end of the age are coming true in our generation. Those who are found in him, through faith in Christ will be taken up to heaven to be with him forever before his throne. That is why we hold onto the Lamb of God. It is faith in Lamb of God that we are found in God and we have assurance that we will enter into the Kingdom of God. Thank you, Jesus. One word: Made ready to dwell with Christ forever through the Lamb. Here is a nice canoe destination. 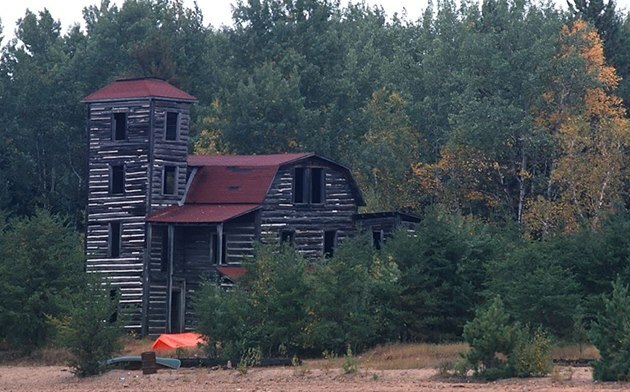 Near Ingnace NW Ontario. 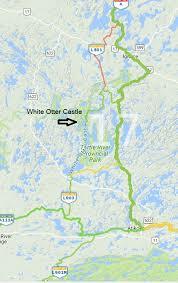 It is the White Otter Castle. 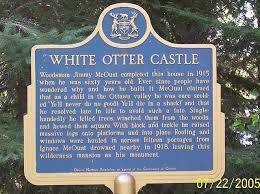 The White Otter Castle. Grave of Jimmy McOuat, the man who single handily build the house over 100 years ago, completed in 1916. He drowned in 1918 in his fishing nets. 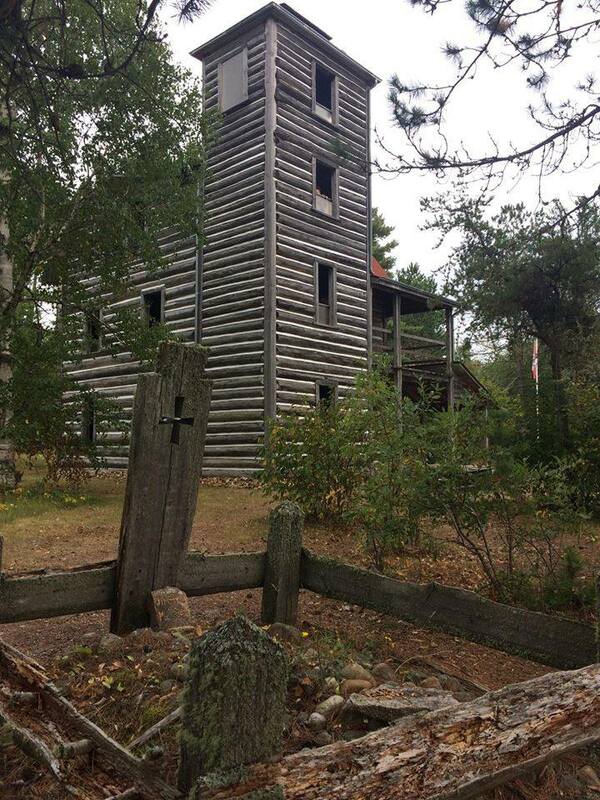 White Otter Castle is an elaborate 3-story log house built on the shore of White Otter Lake, about 35 kilometres (22 mi) south of Ignace, Ontario, Canada, by James Alexander “Jimmy” McOuat. 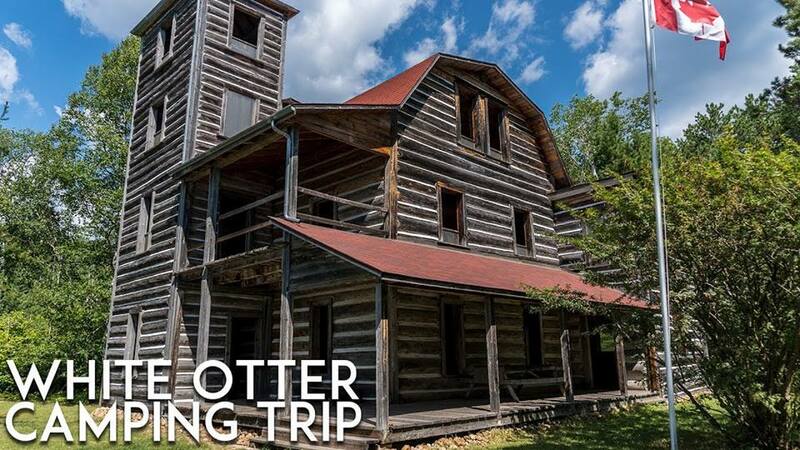 he “Castle” is a sturdy log house which stands 3 stories tall (29 feet), with a turret extending up to an additional floor (41 feet). The main part of the building measures 24 by 28 feet, while an attached kitchen area adds a further 14 by 20 feet to the floorplan. 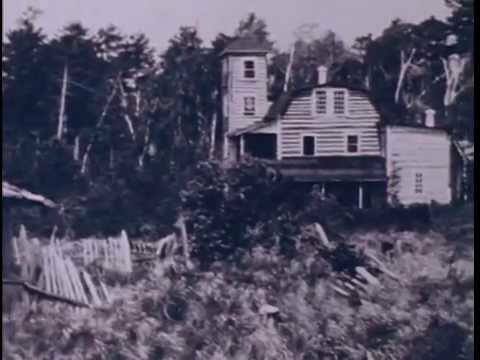 McOuat built his “castle” single-handedly, beginning in 1903 when he was 51, and finally completing it in 1915. 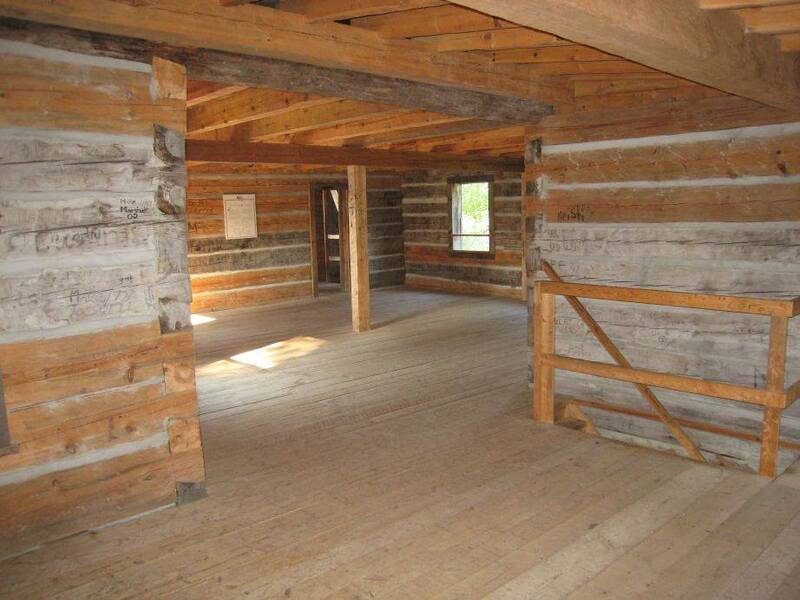 He felled and cut all of the red pine logs himself and hoisted the finished, dovetailed beams (some of them weighing as much as 1600 lbs) into place by means of simple block and tackle. James Alexander McOuat was born in Chatham, Argenteuil County, Lower Canada (Québec), on Jan 17, 1855. He was the youngest son of David McOuat and Christian McGibbon, both of whom were born in Scotland and emigrated to Lower Canada in the early part of the 19th century. 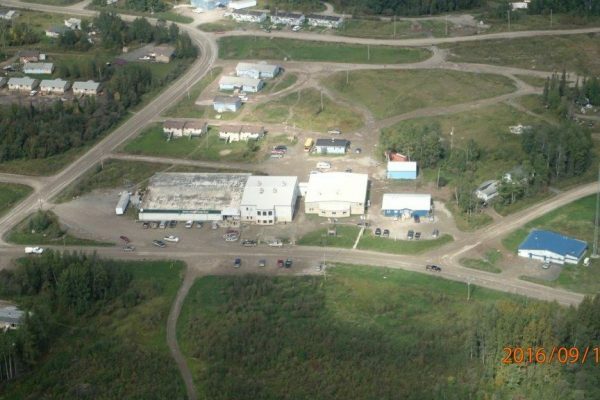 As a young boy, Jimmy threw a turnip at an elderly neighbour who cursed at him and said: “You’ll amount to nothing and die in a shack.” Years later, in his forties and farming near Rainy River, he invested all that he had in a gold mine on the Upper Manitou. He lost everything, including his land. McOuat is assumed to have drowned while netting fish in 1918. His body was discovered by forest rangers, tangled in his net, near a reed bed beside an island on the lake. The Rangers had come looking for him after reports he hadn’t been seen all winter. He likely drowned in late fall of 1918 and was found the following spring. His grave is next to the Castle.